For many people, Korea is probably not on their list of must-go surfing destinations. However, with the rising popularity of the sport, more people are discovering that they can actually catch some good waves here. Based on recommendations from members of the Korea Pro Surfing Association, pro and amateur surfers, and online surfing communities, The Korea Herald has selected five spots that surfers of all levels can enjoy. Located on the southeastern coast, Busan is a major port city that has much to offer for surfers. Built on the seafront, it is both a modern metropolis and holiday getaway. 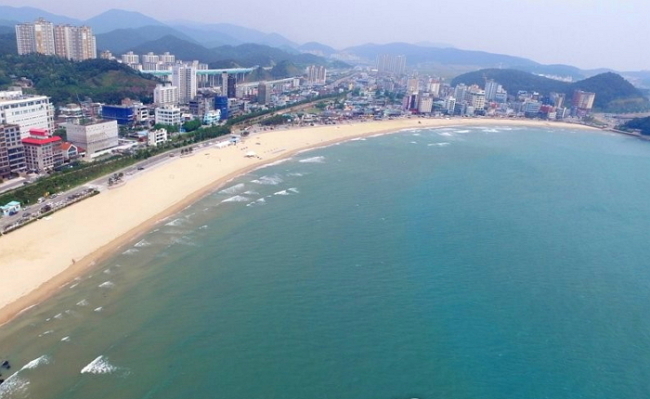 Haeundae and Gwangalli are the two major beaches in the city, but for surfing, the preferred spot is Songjeong Beach. Although it is less known and smaller, it is also less crowded than the other two. 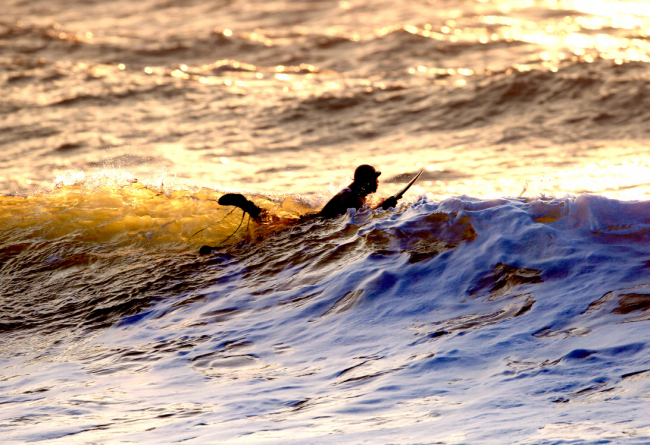 At Songjeong, it is possible to surf all year round. The beach is especially appropriate for beginners, because the water is shallow and the ground is formed of soft sand. Lined up along the beach, surfing schools and shops offer equipment rental, surfing classes and sometimes even accommodation. Yangyang County in Gangwon Province has recently emerged as the surfing mecca of Korea, featuring great waves and a surfer friendly environment. 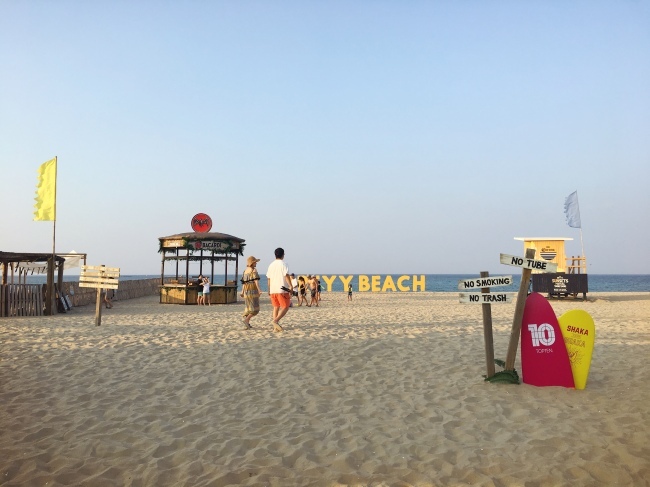 One of the best places to visit is Surfyy Beach, the only beach in Korea exclusively designated for surfing. Access to the beach, once part of a military base, was denied for 40 years, until recently. Public beaches include Jukdo and Gisamun. Jukdo is a great spot for beginners, but Gisamun requires more experience as the waves are stronger. Jeju Island is another popular surfing spot and also the birthplace of Korean surfing. Known for its big waves, the island attracts many experienced surfers from both Korea and abroad. 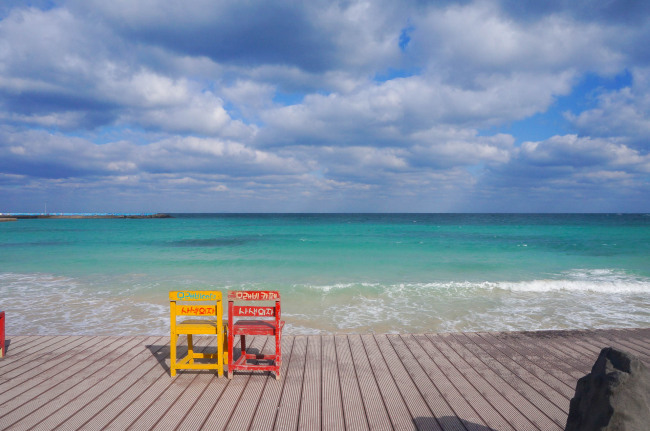 Some of the best beaches are Jungmun Beach and Weoljung Beach. The first surfing club in Korea was established at Jungmun Beach in 1995. The beach is known to have the best conditions for intermediate and advanced surfers, with waves similar to those in Australia. However, beginners can still enjoy the waters with guidance from surfing schools located along the beach. For beginners looking for more level waves, Weoljung Beach is ideal. Its emerald clear waters also make it the hottest photo spot on Jeju. In Goheung of South Jeolla Province, Namyeol Beach has recently caught the heart of the surfing community. 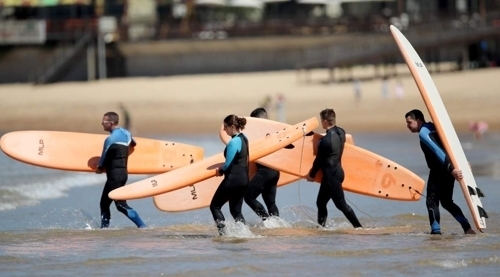 Visitors can surf during all seasons thanks to the warmer southern weather. The best waves come during May and October. There is also a dense forest just by the beach, making it an ideal space for camping. Top-ranking Korean pro surfer Cho Joon-hee, 23, told The Korea Herald that Namyeol Beach is one of his favorite places to surf. “The waves are good, but also the view of the beach from the ocean is breathtaking,” he said. 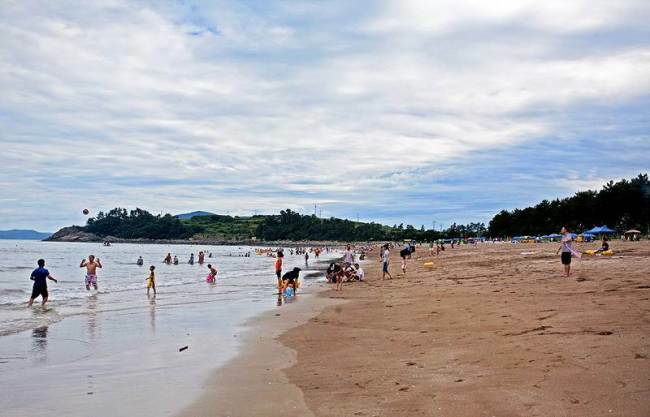 Taean, the small west coast county in South Chungcheong Province, is known for the idyllic Mallipo Beach. The 2-kilometer-long beach facing the Yellow Sea is often called “Mallifornia” for its similarities with Californian beaches. The waves are appropriate for all levels and the area is also surrounded by rich mountainous scenery. During dusk, surfers can also see one of the most beautiful sunsets in the country.